*~Dust~*: Tia and her hat! 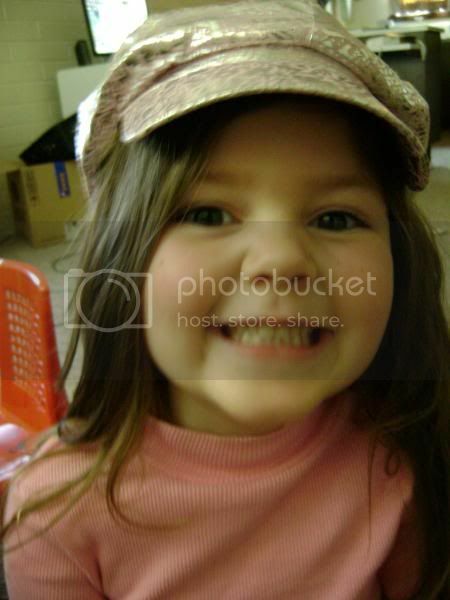 Tia wearing the pink/silver hat that Maria gave to tia, when i met Maria on my birthday! Unfortunately i've noticed my camera is best used outside. Inside at night gives yellow tones and looks terrible and it was dark inside today (just before we went out) so its a bit yellow.. the hat really is a nice pink! Awwww she looks so gorgeous! Tia is a real cutie! Great hat. She is a real sweetheart. Thank you for posting a pic of your princess in the hat! She looks fabulous! I think anything would suit her though!! She has that omnipresent beauty about her.